This Post has already been read 2287 times. 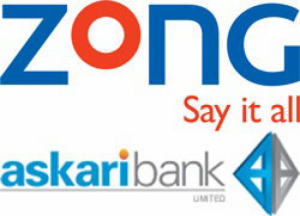 In past it was reported that Zong Telecom is to enter into branshless banking in collaboration with Askari Bank. Now according to The News Tribe, Zong is likely to officially launch the services in this month after getting approval from the banking regulator, State Bank of Pakistan. The model of the services are reported to be same as Easypaisa of Telenor however it will be launched jointly by the two companies on the basis of partnership unlike any acquisition in the shares of bank in the case of Telenor and Tameer Microfinance Bank. Zong will manage the communication part whereas the finance will be dealt by Askari Bank Ltd. The services will be offered included money transfer, payment of utility bills and different services.